ARLINGTON, Va. — The Washington Capitals have acquired forward Tyler Graovac from the Minnesota Wild for a 2018 fifth-round pick. Capitals general manager Brian MacLellan announced the trade Wednesday night. The deal gives Washington a second forward under contract for next season to satisfy the minimum exposure requirements for the upcoming Vegas Golden Knights expansion draft. Because they have Graovac, the Capitals can protect centre Lars Eller. Graovac has one year left on his contract at a salary-cap hit of $625,000. 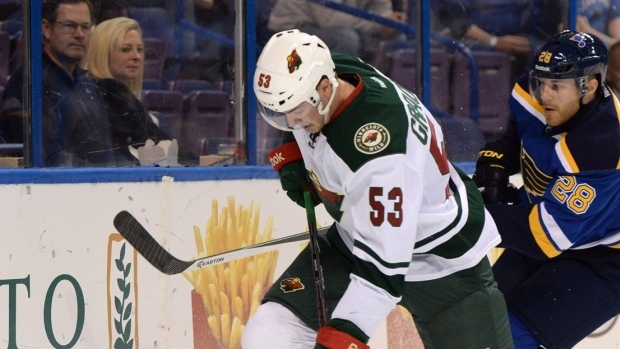 He played 52 games for Minnesota last season, scoring two goals and adding two assists. In addition to helping with the expansion draft, the 24-year-old could be a fit on cap-strapped Washington's roster next season.